Heat an indoor or outdoor grill over medium-high. Lightly coat with cooking spray. 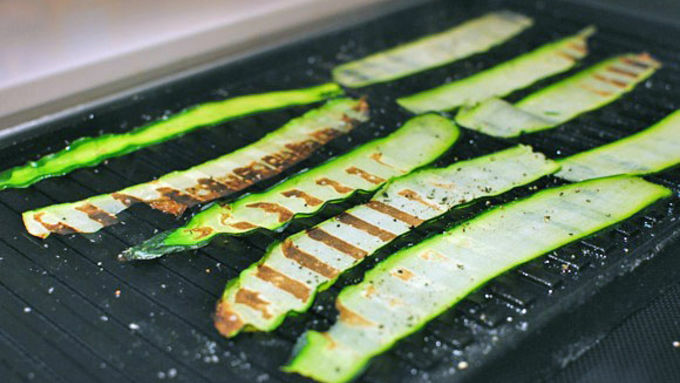 Arrange the zucchini ribbons on the grates and grill until slightly charred, about a minute. You won't need to flip them since they're so thin. Just remove them from the grill and set aside. 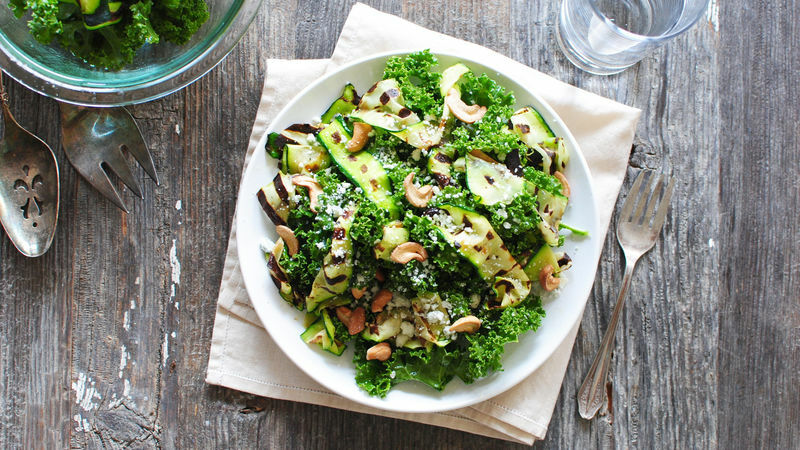 In a large bowl, toss together the kale, zucchini ribbons and dressing. Transfer to a plate and garnish with toasted cashews and blue cheese crumbles. Oh, kale. Oh how I dig you so. 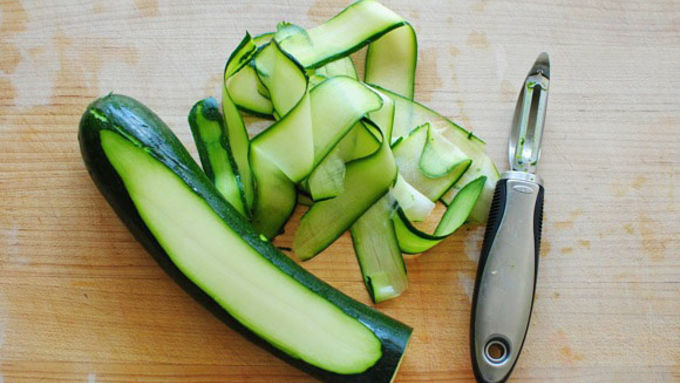 And zucchini, oh how I wish we could ride off together into the sunset. Just the two of us. But we should invite the kale along too, because remember how I just said I dig it so? I do. I do dig it so. And if there's room, would it be okay to invite some blue cheese crumbles along? Because you know cheese is my ultimate weakness and I'd wither away within moments without it. You know this, yes? Could it come along? And you know what, I'll pack lighter if it means that some yummy toasted cashews could join us. Because nuts are my kryptonite and I'd simply fall APART without them! Stop giggling, you know what I mean. 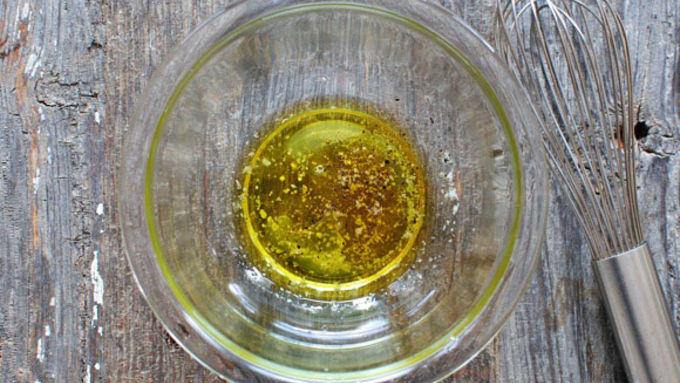 If you love these things as much as me then you'll agree this is absolutely perfect for starter salads at a dinner party, or main salads if you wanted to add grilled chicken or shrimp. 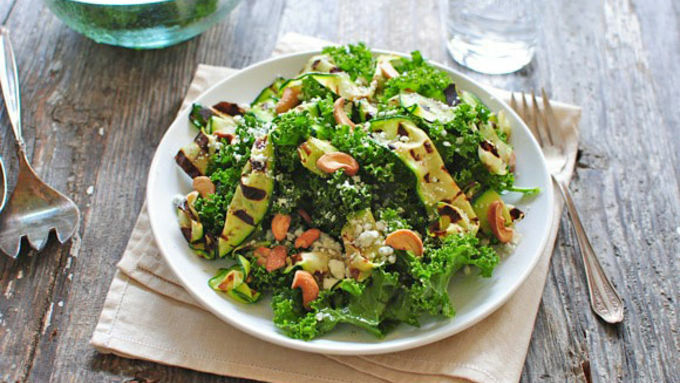 If you're like us and love kale, then you'll love these kale-friendly recipes.